© Anne Lastman, Victims of Abortion, 2011. I appreciate that the abortion issue is contentious, however; this is no excuse for the deceit which is being perpetrated even by those who carry out studies. Women continue to be deceived in the failure to tell them about post abortion grief and trauma and suffering, and the increased risk of breast cancer, her increased risk in a number of mental health disorders. Typically what is always offered as an excuse is that without legalized abortion there will be a return to “coat hanger” backyard abortions. Now this is absolute rubbish. Because what is behind this nonsense is the desire of the pro abortion “baby killing” industry for freedom to kill pre born infants with impunity. This is why the most coverage is in favor of abortion. I am tired of the feminist brigade who are supposed to care for their “sisters” health and well-being and fail completely to understand that a woman cannot ever take her child (or as some would call it their fetus, their bunch of cells, their “tissue”) to be killed and then proceed as if nothing has happened. Post abortion syndrome is notorious for its silence even for years and its abrupt emergence after a trigger. Post Abortion Syndrome appears to affect indiscriminately those who abort, and whilst studies show that up to 87% of those who experience an abortion are affected, it is my contention that the figure is higher. Post Abortion Syndrome is a long term, slow developing and multi symptom. It is especially insidious because of its “slow developing” character and therefore it may be years before the source of the pain is identified yes its effect on the mental health of the woman has been at times decimating. How does the unconscious attempt to resolve its dissonance? By flashbacks, reliving the abortion day or actual time leading to the procedure. Nightmares. Mood changes, uncontrollable weeping, depression, hostility towards males or alternatively promiscuity, obsessive behavior towards another child or avoidance of children especially infants, loss of any sense of joy of life, severe post natal depression, eating disorders, substance abuse, relationship difficulties, suicide and the list continues. We recognize some of these symptoms as symptoms pertaining to Post Traumatic Stress Disorder. Time does not ameliorate the condition. Indeed with Post Abortion Syndrome time appears to increase and intensify the symptoms. Intervention is often sought after years of maladaptive behaviour and much psychological suffering and of course this makes the journey back to wholeness a most difficult journey. The healing of post abortion trauma is difficult because always there is the knowledge that “intent” was involved. It is the “intent,” the guilt felt at one’s responsibility for the death of one’s own infant (this is how it is described in later years) that prevents a healing from occurring. Post Abortion trauma is made more insidious because the decision is both time and situation specific and irreversible. The decision made is usually made in haste because of what appears to be limited time and prevailing difficulties. . The decision made during a crisis moment, especially a decision about life and death needs to be understood as irreversible and needs to be understood in the present context and future context. The present context is infused with difficulties and these difficulties need to be seen for what they are, that is, time specific and transient, whilst the termination of a pregnancy is permanent. Whilst it is understood that an unplanned pregnancy is usually considered a crisis pregnancy, it must also be understood that it is a conception and a pregnancy all the same, with all the emotional turmoil of any pregnancy. Hormonal changes ensure that the individual is buffeted with a range of emotions. This of course leads to the idea that “informed consent” can be given to justify an abortion. Indeed it is believed that as long as details of possible dangers are explained to the woman then an abortion can be safely carried out because it is assumed that she has understood and agreed with all that was said. This is not so, because under a crisis situation an individual is not capable of understanding clearly the possible ramifications of an action. Indeed all that is possible during a crisis time is automatic response thus rendering her incapable of fully understanding all the implications of this decision, for the present and for her future. Any consent given is also time and context specific. A woman/girl who in a crisis time might “want” to believe that her 8-10 week fetus as simply “tissue” but will in a future and wanted pregnancy not think “tissue” but a “baby” because this time it is not a crisis pregnancy. And hence a very strong trigger to pain of past abortion. A decision to abort made under crisis condition has the potential to cause enormous pain in the future and future pregnancies. Abortion trauma, to varying degrees will be experienced by nearly every woman who aborts, however there are some individuals who are at greater risk. Amongst those who are in the higher risk categories are those who abort for genetic anomalies. Studies clearly show that women who abort for these reasons are at higher risk of prolonged psychiatric treatment or hospitalization in the 12 months after the abortion. There are indeed numerous studies, which clearly indicate that abortion for fetal abnormality leads to severe long-term psychological reaction. Further, when there is an abortion for fetal abnormality the child is usually of advanced gestation, a “wanted” child and bonding has occurred. Abortion for fetal abnormality will not remove a problem but leaves in its wake a lifelong anguish and emptiness of heart because of the loss of baby, dreams, future, family and loss of infant and the need to have made such a decision to have the life of their child terminated. Indeed a characteristic of abortion is deep sense of emptiness. Today it is also understood and known that abortion is linked to breast cancer especially where an abortion has been carried on out on youthful person and prior to live birth, and multiple abortions increase markedly the risk of breast cancer. There are studies which have not been refuted which clearly show the risks. There are many theories concerning multiple abortions and one of these theories is that the woman seeks (unconsciously) to have an “atonement” child to replace the first aborted one, thus becoming pregnant to fulfill or complete something begun and not successfully completed. However, I do not think that this is the issue there is more to the multiple abortion issue and much work needs to be done. There is much work, which needs to be done in the area of post abortion trauma. We are only at the very beginning. However, it is important to understand that it does exist. 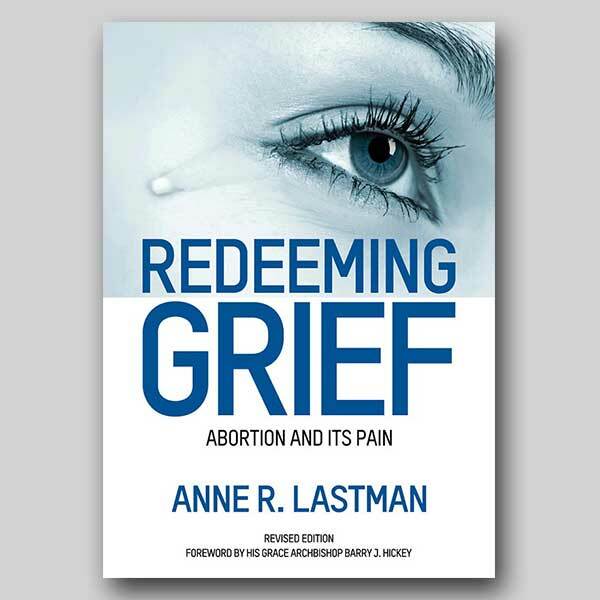 Irrespective of strident voices attempting negate the sufferings following an abortion, it is important to know that post abortion trauma and grief is real –and requires much gentle handling in order to be able move the sufferer from despair to forgiveness and healing.